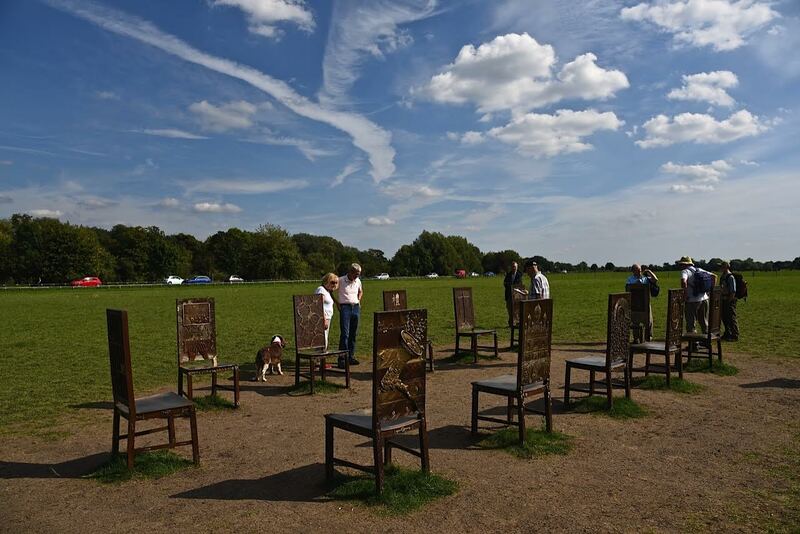 Driving along the Windsor Road one day, my eye was caught by a collection of chairs, placed in an oblong, close to where the Runnymede memorial is located. 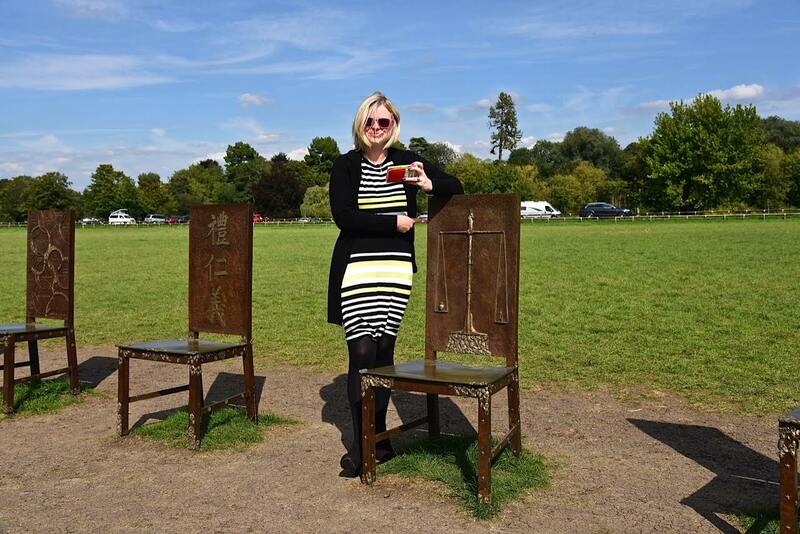 Ah, I thought, that’s where King John sat with his Barons and signed Magna Carta. But no, dear reader, I was wrong. 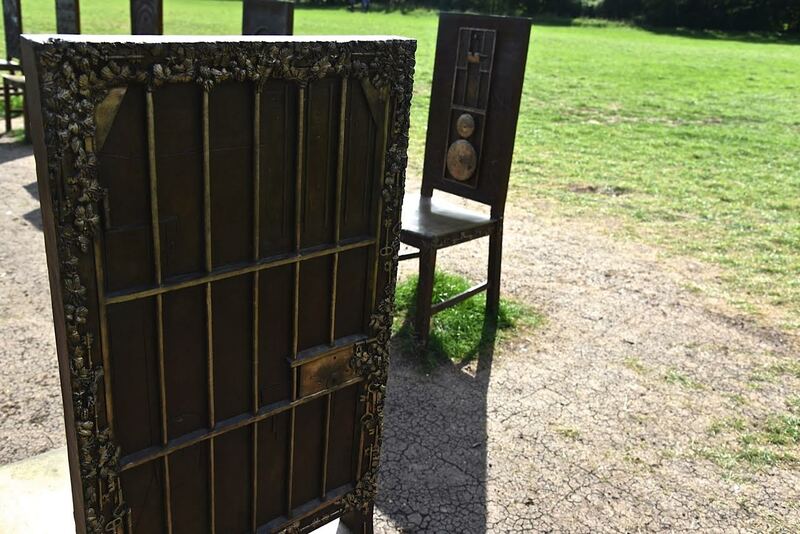 It is in fact an artwork called The Jurors by Hew Locke and it was commissioned to celebrate the sealing of the Magna Carta in 1215 by Surrey County Council and the National Trust. The jury system of 12 people originated, of course, with Magna Carta. Now we’ve cleared that up, my advice would be to nip into the tea rooms by the carpark and pick up a “The Jurors” leaflet (or download it) because without it, you would no doubt be a little baffled by some of the chairs. 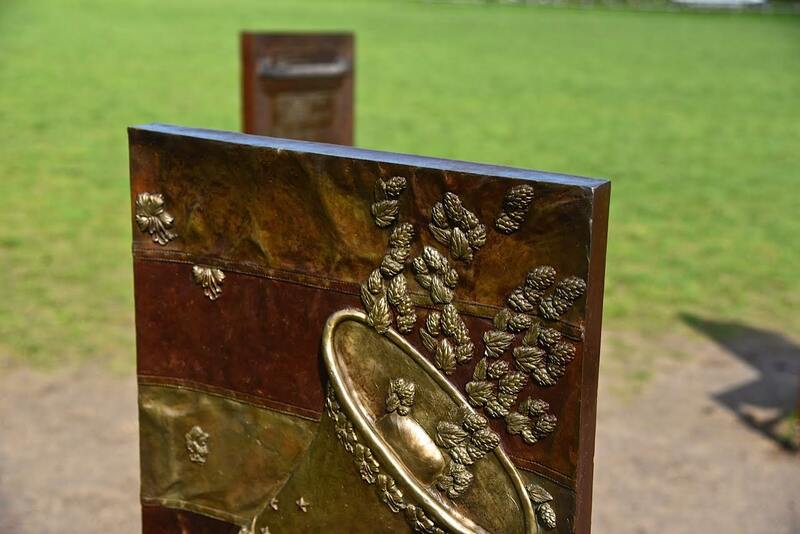 The artwork is not a memorial as such but rather a set of individual pieces of art that encourage us to consider the ongoing significance and influence of Magna Carta in the modern world. 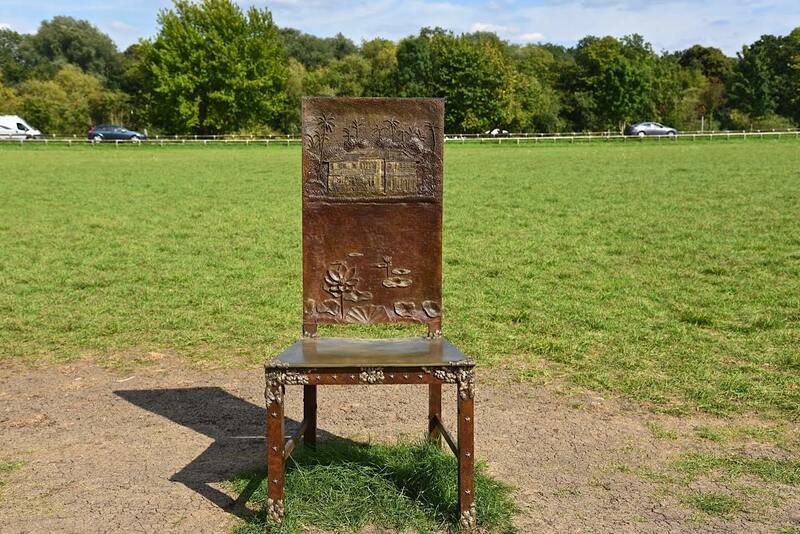 It is in fact an allegorical work in the best tradition of classical sculpture, each chair denoting a freedom or cause that’s been made possible by the principles upheld by Magna Carta. Each piece has a main image, embellished with flowers, keys and other symbols – some are also coloured or polished. 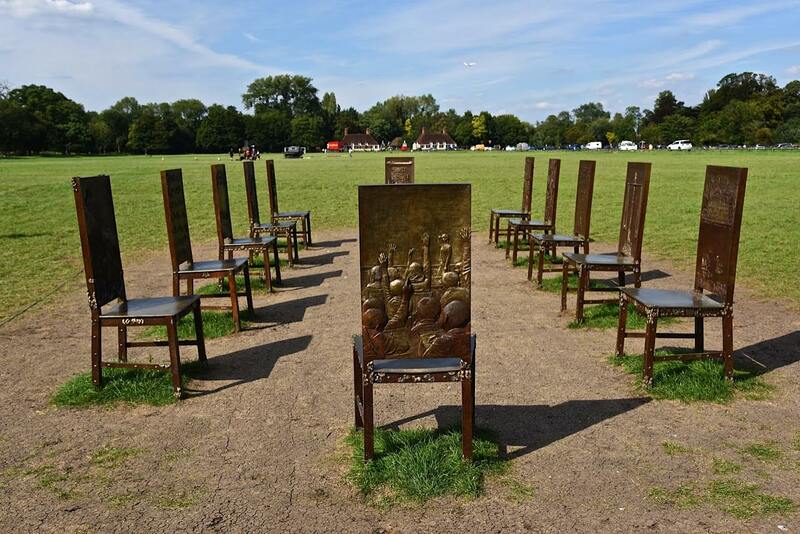 It is a rather more intriguing artwork than I first imagined and a worthy tribute to the freedoms engendered by Magna Carta on its 800th birthday. 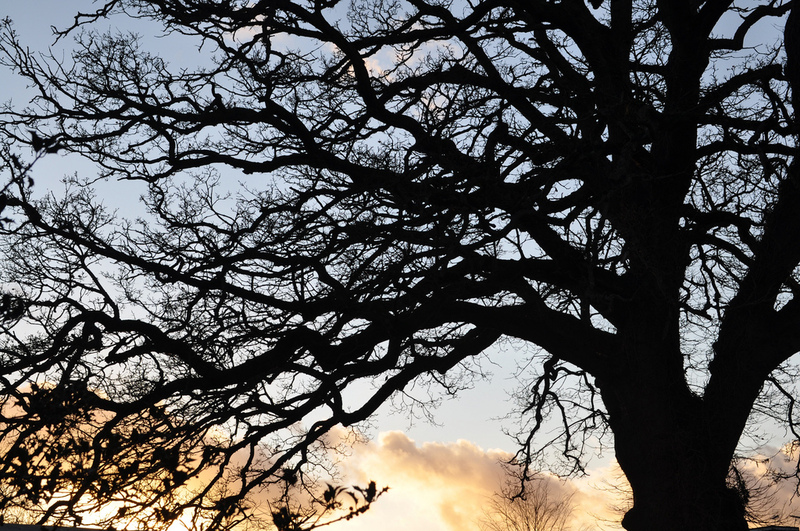 Other things to see here – the pergola memorial to Magna Carta, the JFK memorial and the Commonwealth Air Forces Memorial. 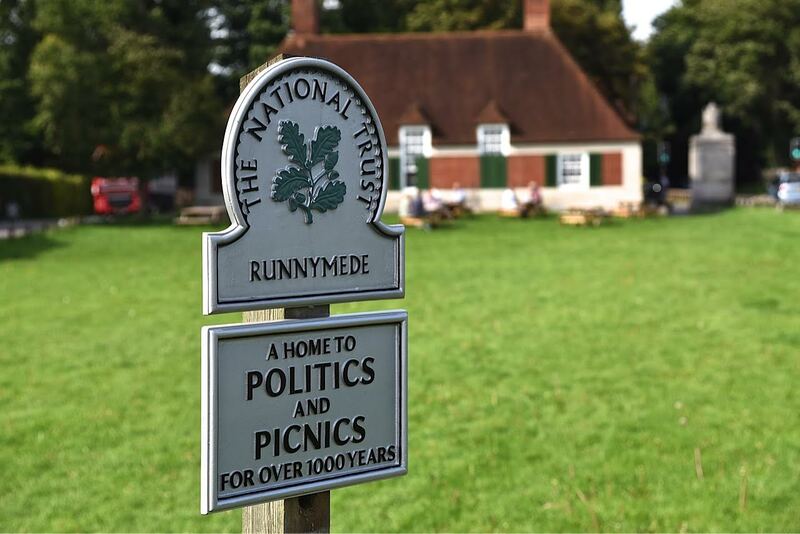 After which, you will certainly have earned your tea and delicious cake in the friendly National Trust café! ← My introduction to a Liquid Deli!